Great Opportunity for a restaurant or a bar owner to take advantage of owning the real estate. There are two bars located in this facility with stages dj booths etc. If not interested in the bar / restaurant business, this building could be transformed into offices – whether law, accounting, medical– you name it, THE CHOICE IS YOURS! Real Estate is through Brown Realty. Facilities: Lot Size is .11 and building is 5000 sq feet. 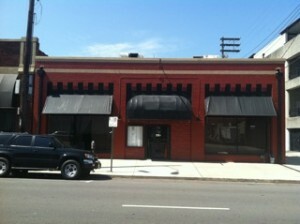 Location Description: Located on a major traveled downtown street. Other nearby locations are UAB offices and medical facilities. Current & Prior Use: Currently being used as a bar/lounge. ← Profitable Pawn Shop For Sale!